Cannabis is a drug used for recreational, religious, spiritual and medicinal purposes. It has a history of spiritual usage. It is also known as Marijuana. It has varied medicinal uses. Cannabis has been used for the treatment of many diseases like AIDS, Depression, Asthma, Rheumatoid Arthritis, Pain relief, Epilepsy, Alcoholism, Spasticity, Anxiety, Insomnia, drug addiction, brain tumor, migraine and many more diseases. Lets let the science prove why cannabis needs to be legal. The health industry is long overdue for cannabis to be entered into their world. Patients deserve to use whatever drugs they want to make them feel better. I couldn’t think of a more natural way of healing. Construction products such as medium density fiber board, oriented strand board, and even beams, studs and posts could be made out of hemp. This is due to hemp’s long fibers, which make the products stronger and/or lighter than those of wood. develop in different forms inside your body, both mentally and physically. One of the marijuana use effects is to occur in the lungs. Though, the most common reasons would apply to the fact of smoking and inhaling a certain amount of smoke inside your lungs on a regular basis. 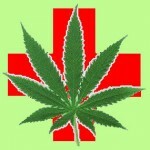 Medical marijuana is fine with each of us up to some extent. It is fine, as long as it does not cross the line. The question here is of not getting addicted. On one hand we are trying to cure our own self from the already irritating diseases, to add to that the addiction? Well, no reasonably thinking person would want to increase the unneeded cannabis use in their lives. Patients suffering from arthritis – a disease that causes terrible pain in the joints of body parts, can be hugely benefited from the cannabis use. Among the many benefits of marijuana, this one is a boon to the arthritis patients. Those patients at one time or other think of turning towards medical marijuana when the pain in the joints just refuses to cease. Arthritis can develop in the increasing age. Therefore, it is also skeptical whether the body can accept the traditional treatment. Cannabis use has been proven to have a great potential to stop the inflammation. 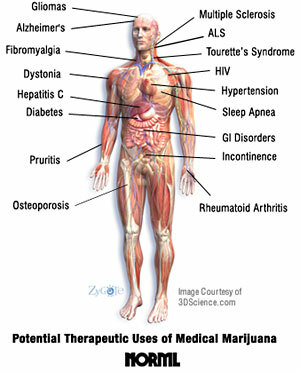 Why that, even muscle spasms are cured by marijuana.